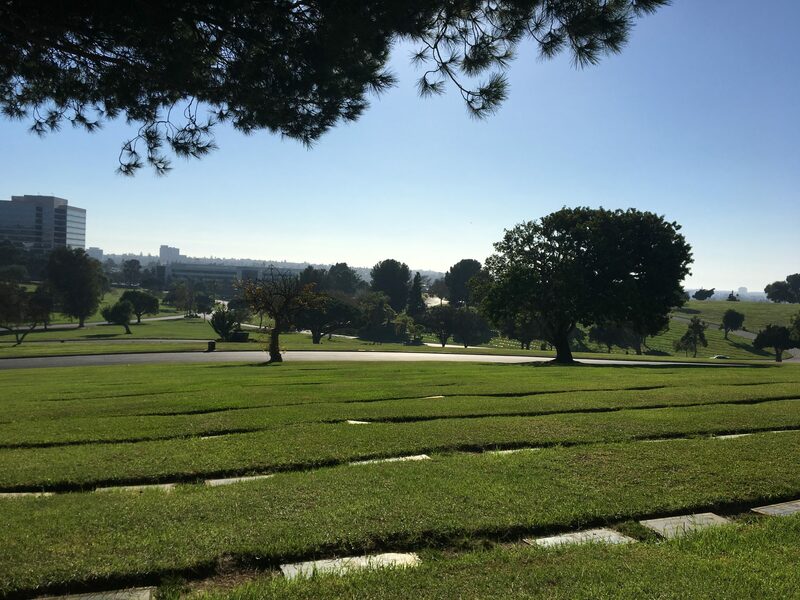 Cities are changing – becoming taller and denser – and their cemeteries are changing as well. 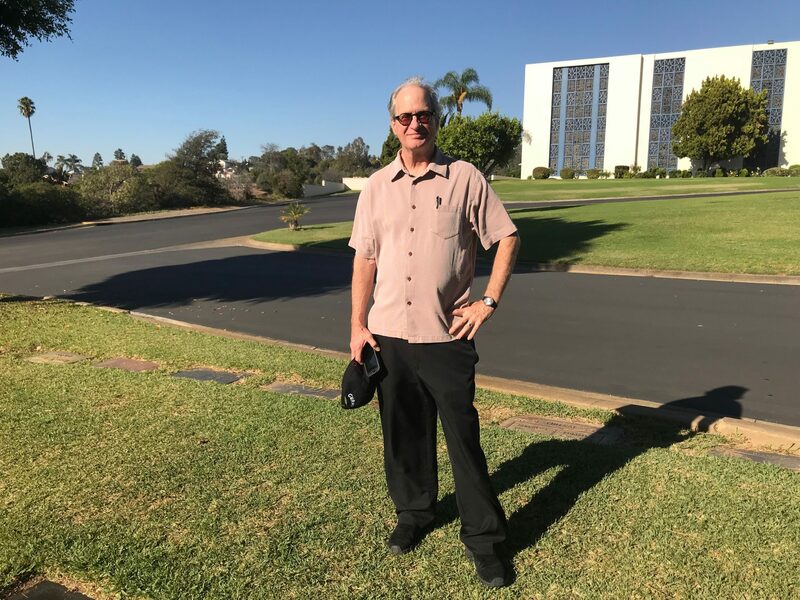 USC professor David Sloane at Holy Cross Cemetery in Culver City. Photo by Frances Anderton. In movies and pop culture, cemeteries are often depicted with fog-enshrouded, weathered headstones and lots of creepy carvings. And it’s as kitschy as the Halloween holiday itself has now become. But what about actual cemeteries? Turns out they have gone through many design and planning changes in tandem with changes in our culture. They’re also becoming taller and denser, much like cities themselves. Inside the mausoleum at Holy Cross Cemetery in Culver City. Photo by Avishay Artsy. DnA met with Sloane at Holy Cross Cemetery in Culver City, which has both the “suburbanesque” landscape of a memorial park, with lush, rolling green hills and gravestones flush with the ground, and the densified mausoleum where corpses are placed in crypts and cremation urns are placed in niches, stacked on top of each other. The “suburbanesque lawnscape” that became popular in cemetery design in the 1950s. Photo by Avishay Artsy. Sloane also told us about what it was like to grow up in Oakwood Cemetery in Syracuse, New York, where his father was the superintendent. Friends, he says, were not so keen on coming for sleepovers! 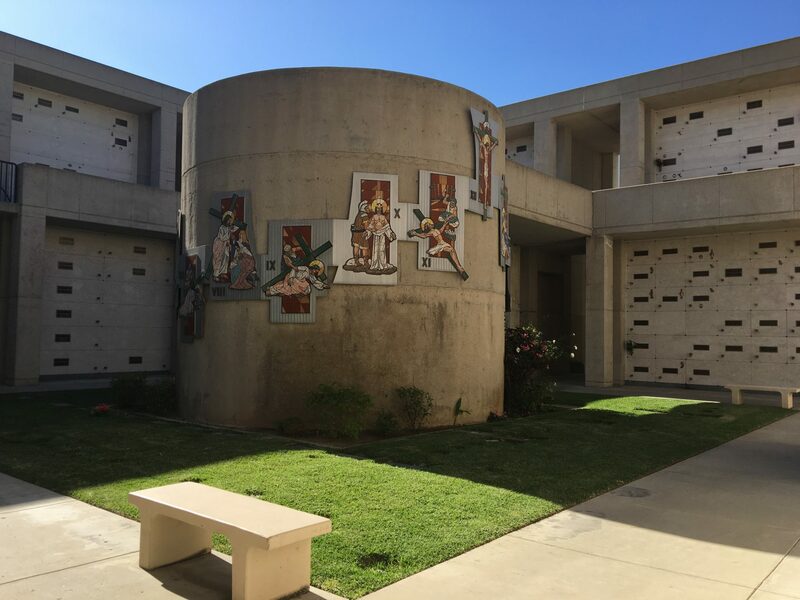 Sloane will speak about changing burial and grieving practices at a conference hosted by the Huntington-USC Institute on California & the West (ICW) on November 11 called Under LA: Subterranean Stories. 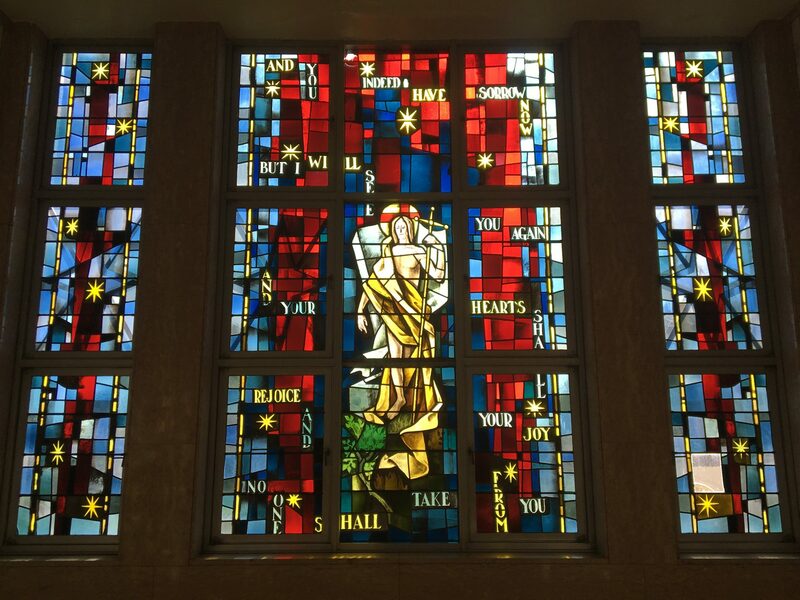 A stained glass window at Holy Cross Cemetery in Culver City. Photo by Avishay Artsy.